Made in Brazil will debut its new (old) lineup at the 2019 IEM Katowice Counter-Strike: Global Offensive Major Championship. 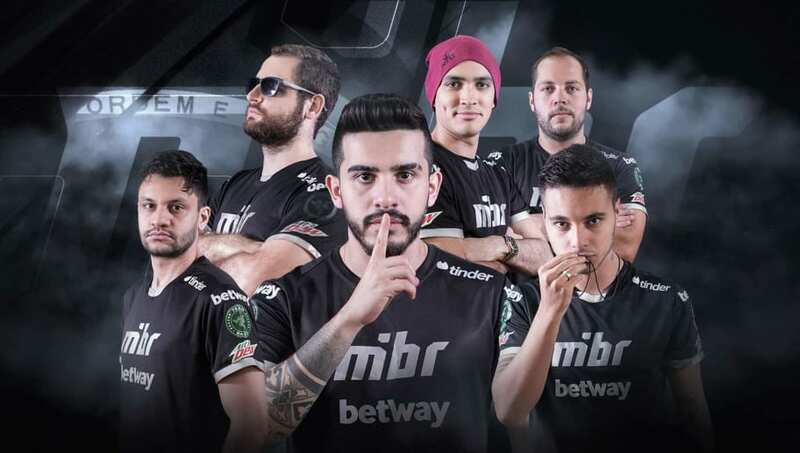 Gabriel “FalleN” Toledo, Fernando “fer” Alvarenga, Marcelo “coldzera” David, Epitácio “TACO” de Melo and João “felps” Vasconcellos have played as a unit before with great success. Their last event together was the 2018 Boston Major, where they reached the semifinals despite not practicing with felps before the tournament. They also didn’t have the help of Wilton "zews" Prado, who was coaching Team Liquid at the moment. The MIBR core and zews also won back-to-back majors together in 2016. After some playing with other teams, the players and zews are reuniting to hopefully once again become the best team in the world. There are a lot of advantages to MIBR reuniting. They’re returning to a place of comfort in many different aspects. They will return to speaking Portuguese, reunite with their former teammates, and be working with an even more developed coach in zews. Most importantly, this roster has a lot of experience playing with each other. All of these factors will allow MIBR to feel comfortable once again. The “American Experiment” with Jake “Stewie2k” Yip and Tarik “tarik” Celik was interesting, but it forced the core to communicate in English, which is outside of their comfort zone. Returning to speaking Portuguese will eliminate the language barrier and allow the players to spend a little less brain power on a problem that exists outside of the server. When considered alongside the chemistry these players have shown as a roster previously, this MIBR roster has great potential to once again be one of the most tactical teams in CS:GO. When they first started playing together, many of the players on this MIBR roster were inexperienced competing at the top level of CS:GO. In 2019, all of these players are (presumably) more mature and have a wider depth of experience. TACO and zews are returning from a successful stint in Team Liquid. TACO in particular was revitalized as a player by his new environment. Zews increased his coaching experience and was credited with much of Team Liquid’s success. The experiences TACO and zews bring back to MIBR are an incredible asset to the team. The reintegration of felps to the lineup also signals that MIBR are more mature players than before. When felps played with the MIBR core the first time, they admittedly had many differences in opinion and clashing play styles. Reuniting indicates that MIBR is more willing to compromise and play as a proper team. As this roster develops, it will be interesting to see how felps is integrated to the team and how MIBR will change strategies to accommodate him. There’s a lot to be excited about in regards to MIBR in 2019. This roster’s previous tournament results are incredibly successful. MIBR has been bootcamping in Spain preparing for their debut at the Katowice Major. They have potential to conquer Astralis and become the best team in the world again. However, if this roster fails, this nostalgic experiment will be criticized as a failed attempt at recreating the past. MIBR has a lot of potential as the 2019 season kicks off, but they need to capitalize on it to return to previous form and dominance.